The sea level is rising all around the world; that inconvenient truth is part of the fact of climate change. But in California, rising sea level for the most part will not pose novel problems. We've had ample experience with the problems under the label of "coastal retreat": even with a steady sea level, waves and tides will attack the land and beat it back without mercy. A rising sea makes things only a little worse than what we're used to, or at least what geologists are used to. Up and down the California coast, the sea has been carving cliffs into the shore and excavating them in the form of sand, which the currents carry from place to place. The main thing that protects the cliffs, moderating the inevitable, is that sand. Today's balance of beaches and bluffs—rather, the balance that the first European settlers witnessed around 1800—took thousands of years to achieve after the last ice age ended, about 10,000 years ago. Historically—and geologically—that balance included lots of sand entering the shore zone from rivers. But the addition of 38 million people to California in the last two centuries has led to the damming of nearly every river in the state, and now very little river sand is in the mix. Beaches are smaller now, and the sea level makes a bigger difference these days. Coastal retreat will inexorably step up its pace. During El Niño episodes, our sea level can be be more than a foot higher on top of our king tides and storm surges. How should we think about this in policy terms? Consider this case, from the long-term aerial surveys collected at californiacoastline.org. 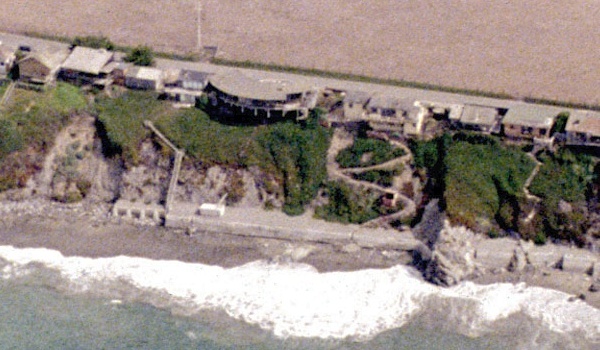 This set of coastside homes along state route 1 north of Bodega Head, put in place some time before 1972, looked like this in 1979. Already, sea walls had been built at the base of the bluff to protect the slope from winter surf. Also note the landslide scars on the left (north) side. In 2002, a generation later, most of these homes were gone or abandoned. Along with the houses, the beefed-up sea walls and concrete armor on the bluffs had turned to wreckage. And last September, the road itself was in jeopardy. Most of us would not have taken out a mortgage to build houses here in 1972, especially seeing it today. Many of us might have called the idea stupid or foolhardy. But let us stipulate that the inhabitants had years of regret-free pleasure, their banks made their money back, the coast did not erode faster than it would have anyway, the rubble is benign concrete, and that no one died or imposed outsized costs on the government. Ideally, the government's land managers can choose to allow or forbid homebuilding like this based on the probable costs to society and what science says about the geology here. That's making the best possible case. The worst case would be that the state decided today to replace the cliff, add three lanes to Route 1 and offer tax incentives for a large job-providing facility to locate here. It wasn't so long ago that something similar was under way at Bodega Head in the early 1960s, where the giant utility PG&E set out to build a nuclear power plant. The locals were fighting it to little avail. 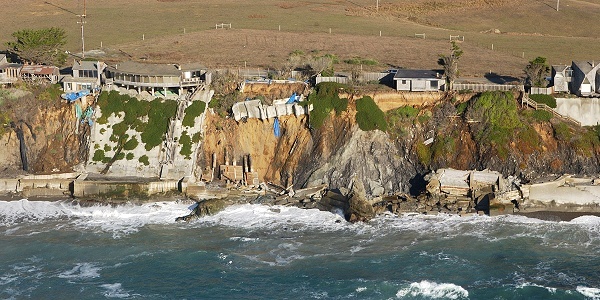 But when government geologists documented the presence of a major earthquake fault cutting through the foundation hole, their report served as a battering ram for the activists and led to the project being canceled. Truth be told, scientists generally prefer the rational action of the best case to the push and shove of the worst. 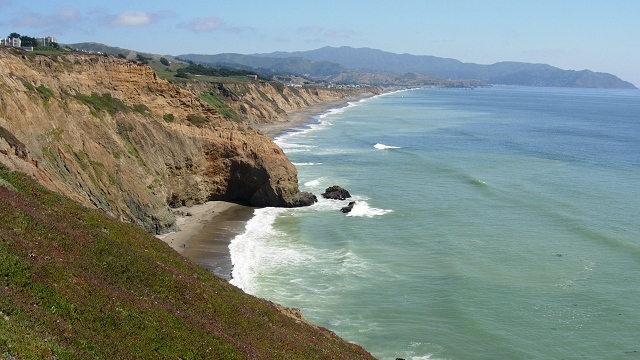 Recognizing that retreat is the default state of the California coastline doesn't mean that the default response is to retreat away from the coast. There are ways for favored places to have a chance to endure. Sea cliffs that produce lots of sand can bolster the beaches nearby. Judicious sand replenishment can work when the effort meshes with natural patterns. Rivers can be managed to release more sediment. The key is for policymakers, by law and regulation, to incorporate scientific input at all stages of making decisions. 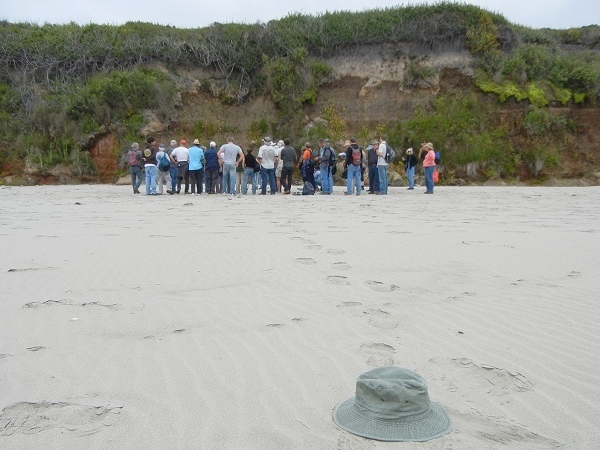 Geoscientists must share their knowledge with government and the public. Costs of sea-level rise and risks of coastal hazards must be documented and planned for. Governments must take responsibility for using science in their policymaking. The fourth recommendation is for all of us: "The U.S. must develop a vision for the future that accepts the natural processes of a high-energy, rapidly evolving coastal system, and that seeks to live with the dynamics of change." The National Research Council has a 5-minute video with more about sea-level rise on the west coast. Scripps Institution of Oceanography's Living With Coastal Change site presents more sound science with examples from Southern California.